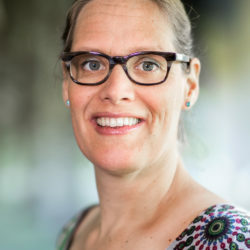 Christine Boshuijzen – van Burken currently works for the OZSW (Dutch Research School of Philosophy – as assistant director) and for Eindhoven University of Technology (as a post-doctoral researcher). She holds a PhD degree in ethics and philosophy of technology. Her dissertation was in the field of military technology and ethics. She further holds a BSc in Human Kinetic Engineering (The Hague University of Professional Education, 2002), a BSc in Mechanical Engineering (Eindhoven, Fontys University of Professional Eduction, 2004) and a MA at the Amsterdam Vrije Universiteit, faculty of Philosophy (2006). She worked several years as a mechanical engineer before starting her PhD studies. Christine worked as post-doctoral researcher and assistant professor at Linnaeus University, Växö, Sweden before starting her research position at Eindhoven University of Technology in 2017. For her current research she focusses on value sensitive design for modeling humanitarian logistics. This is an NWO-MVI funded project “The Refugee Crisis in Europe: Modelling Humanitarian Logistics”. She also uses insights from Reformational philosophy to evaluate normative issues at the intersections of humans and/or society and technology. Besides her academic work, Christine serves on the board of the Association for Christian Philosophy and as a reserve soldier at the Royal Netherlands Reserve Army. C.G. Boshuijzen – van Burken (2016) Beyond technological mediation – a normative practice approach. Techné, Research in Philosophy and Technology. forthcoming in issue 20(3). – C.G. Boshuijzen – Van Burken and B. Van Bezooijen (2015) ‘Morally responsible decision making in networked military operations’, in: J. van den Hoven, B.J. Koops, H. Romijn, T. Swierstra, and I. Oosterlaken (eds.) 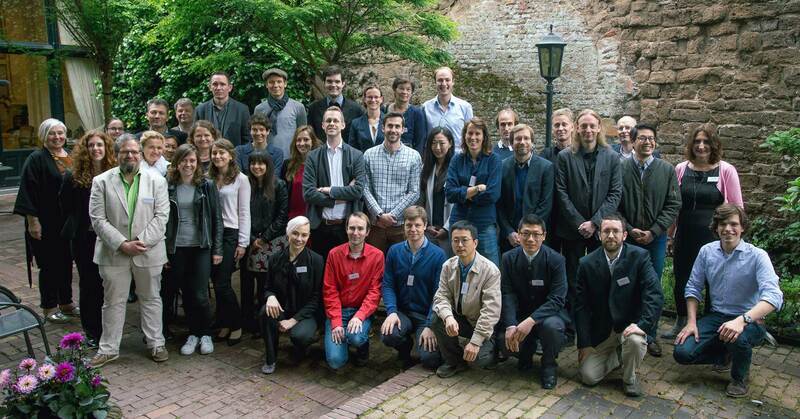 Responsible Innovation, Volume 2, Springer, Dordrecht. – C.G. van Burken, Moral Decision Making in Network Enabled Operations. Dissertation (PhD thesis). Eindhoven University of Technology (2014). Published by 3TU Center for Ethics and Technology. – C.G. van Burken, The Non-neutrality of Technology: Pitfalls of Network-enabled Operations. Military Review, Volume 93 — May-June 2013, No.3, pp.39-47. C.G. van Burken and M. J. de Vries, Extending the theory of normative practices: an application to two cases of networked military operations. Philosophia Reformata (2012), 77(2), pp 135-154. – C.G. van Burken, Non-neutrality of mobile network technologies: the example of network controlled nuclear detection, In: Proceedings of the 2011 International Conference on Telecommunication Systems (ICTSM 2011) (Prague, Czech Republic, May 26-29, 2011) pp. 104-109. – C.G. van Burken, Security in a Global Society: Towards an Alliance between Defence and Development. In: S. Strijbos, J. van der Stoep (eds), From Technology transfer to intercultural development (2011). Amsterdam: Rozenberg Publishers. pp. 93-104. – C.G. van Burken, Valkuilen van genetwerkt optreden: een techniek-filosofische analyse. Militaire Spectator, (2011), 180(2), pp 77-86. – C.G. van Burken, Complexities in Network Enabled Operations. In: Proceedings of the 16th Annual Working Conference of CPTS 2010, Maarssen, The Netherlands, May 2010 Interdisciplinary Research for Practices of Social Change, (2011), Roelien Goede, Leenta Grobler, Darek Haftor (eds. ), CPTS: Maarssen pp. 66-84. – C.G. van Burken, P. Essens (2010) Exploration of the ethical dimension of Network Enabled Operations: Toward a philosophical framework of analysis. In: Proceedings, 15th International Command & Control Research & Technology Symposium (ICCRTS 2010) (Santa Monica, CA, USA, June 22–24, 2010). (digital proceedings on CD). – C.G. van Burken, ‘Military ethics and technology: Towards a Process Ethics for the Dutch Defence Organisation in the Dawn of Highly Technological War Scenario’s. In: Philosophy Put to Work proceedings of the 2007 working conference (2007) pp. 112- 124. – W. Wilson, C.G. van Burken, C.C. van Donkelaar, P. Buma, B. van Rietbergen, R. Huiskes, Causes of mechanically induced collagen damage in articular cartilage. Journal of Orthopaedic Research, 24.2 (2006) pp 220-228.